Since the dawn of social media, platforms have come and gone, sometimes without people even knowing they existed before their tragic demise. Some continue to cling to life, and some have just packed their bags and exited quietly. We can all name the social media platforms that are doing well. Everyone knows who Facebook and Twitter are, whether you have an account or not. Some platforms are slightly less known, such as Snapchat, which continues to grow in popularity and user base. Some platforms though… they just die. As a digital marketing agency, we spend a lot of time looking at social media marketing, and the platforms available to us. We decided to investigate some of those social media platforms that we won’t be including in our client’s marketing budgets. Some platforms come into the world with high hopes of being the “next Facebook.” For example, the Peach app was supposed to be the next big thing, but didn’t quite seem to live up to the hype surrounding it. 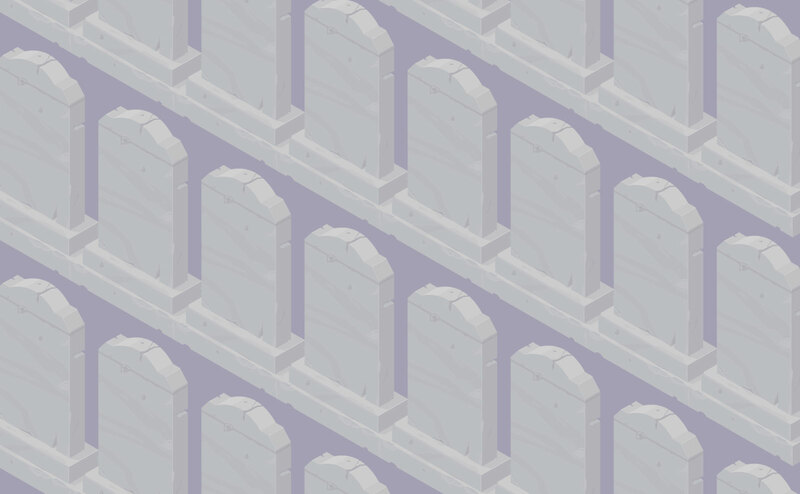 Whether you’re dead, almost dead, or just plain refusing to die… we have a spot ready for you in our social media graveyard!